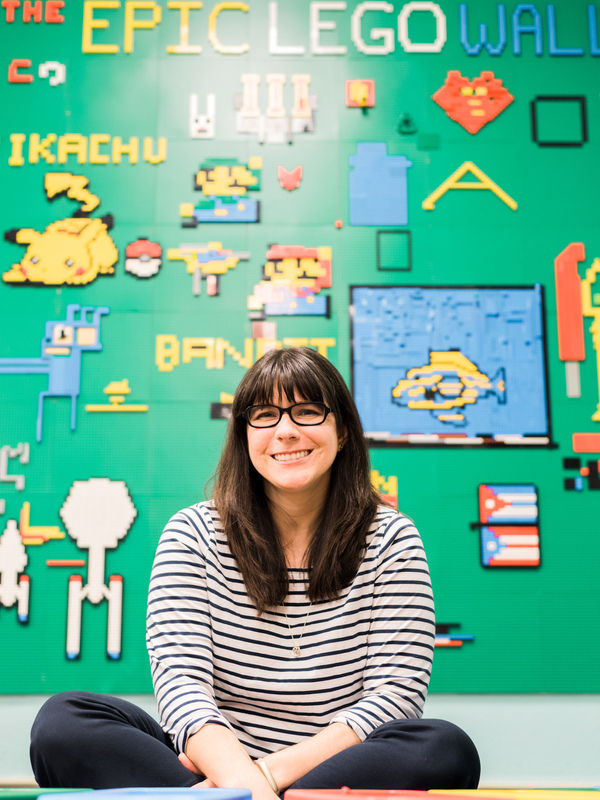 As the school year has been drawing to a close, I’ve been spending a lot of time reflecting on the library Makerspace we’ve been creating at my school. We started out back in January with a couple of bins of K’nex that our science department no longer used. We just left them out on the tables and let the magic happen. 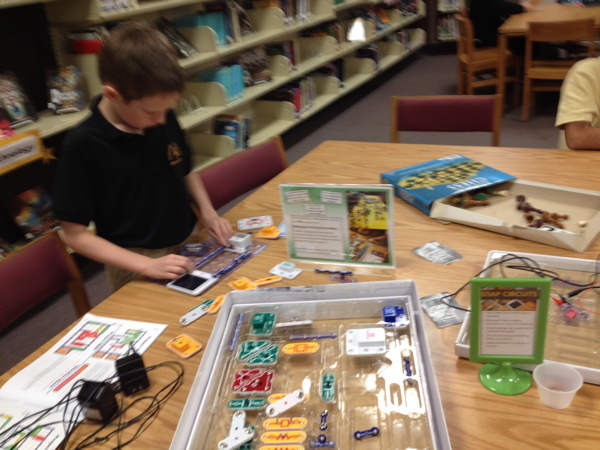 Gradually, we added Snap Circuits, LEGOs and rotating craft stations. We created signage explaining what to do, how to clean up, etc. Many, many learning messes later, I’m taking a look back at what worked and what didn’t. One thing I learned is that different activities have different thresholds for students being able to begin tinkering. Everyone knows what to do when they see LEGOs. K’nex are fairly easy to figure out. 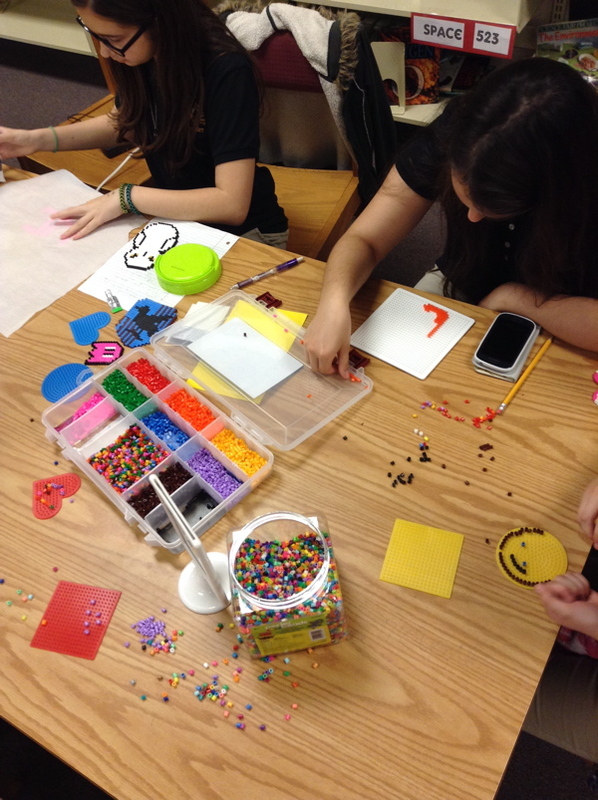 Many students have exposure to Perler beads. But there are plenty of other activities that are not as intuitive. Most kids have no idea what to do with a MaKeyMaKey without some guidance. Students who have never seen Snap Circuits will often just start snapping random pieces together until another student explains that this doesn’t work. What I’ve discovered this year is that having a Makerspace involves a combination of both types of activities. For my school, that means leaving the K’nex and LEGOs out all the time. They have designated areas now (next year we’ll be making a LEGO wall and table!) and students can tinker with them with pretty much no guidance needed. I put out rotating craft stations (bookmark decorating, rainbow loom bracelets, Perler beads), but I’ve found that they need to be changed frequently, or these areas start to get messy really fast, and materials start to disappear. I included a brief set of instructions at all of our Maker stations so that students who haven’t used these areas before know what to do. It’s had its ups and downs, but overall students have loved it. My main issue is dealing with students who disrespect the area by messing up other students projects, throwing LEGOs at each other, or just generally being destructive. But these students are definitely in the minority – most just enjoy the opportunity to tinker and build. The main change I’ve had to make in this area is pulling the Snap Circuits out of the general Maker area. Now I just bring them out for specific programs with groups or classes. I had to do this after seven or eight pieces were either broken or disappeared. Overzealous students started using too many power supplies; motors and LEDs got burnt out; the fan cracked after hitting the ceiling too many times. While I love the Snap Circuits and the tinkering they allow students to explore, for now on I’m only bringing them out when I’m available to offer students some guidance on how to use them. I’m thinking of trying out LittleBits next year, because they seem like they might be a little more intuitive and less prone to getting damaged. Most of the Maker activities at my school are open activities. Any student in the school (who has a pass for the library) can come in and tinker with K’nex and LEGOS or try out one of our craft stations any time they like. I don’t have to be directly involved in instruction, and there are no barriers preventing students from exploring. It doesn’t matter what clubs or classes they’re in, what their GPA or behavior record is, what socioeconomic status they have; anyone can participate in these activities. However, by their very nature, these activities don’t generally have a lot of deeper learning. Students come, tinker a little, and leave. I’m exploring the idea of a separate Maker area/program next year where students could go more in depth with their explorations. This would be either a physical room (I’m looking at converting the copy room) or items that we keep stored in the back and bring out for special occasions. Think Maker lunches, an after-school Maker club, collaboration with math and science classes. 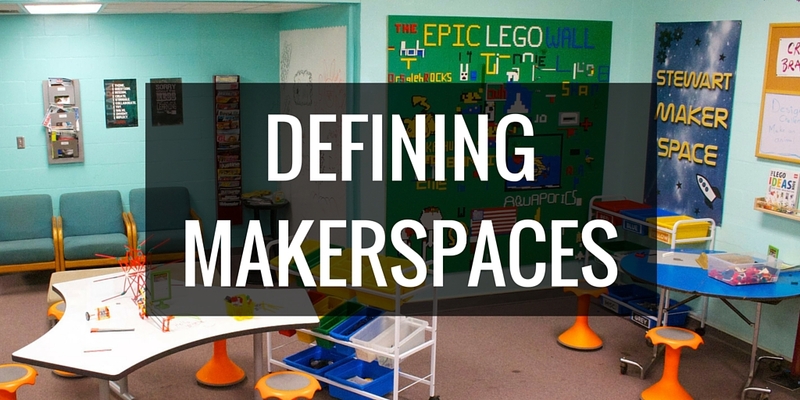 However, this type of Makerspace would not be open to all students. My thought is that there could be some kind of orientation that students could go through, where they’d then be allowed to use the space. But then I’d have to monitor that too. I still haven’t fully figured this part out yet, but I definitely want to dig deeper with my students next year with things like MaKeyMaKey, LittleBits, Sphero, take-apart tech, Arduino and coding. I definitely feel that our Makerspace is still a work in progress, but I’m really happy with how it’s gone so far. 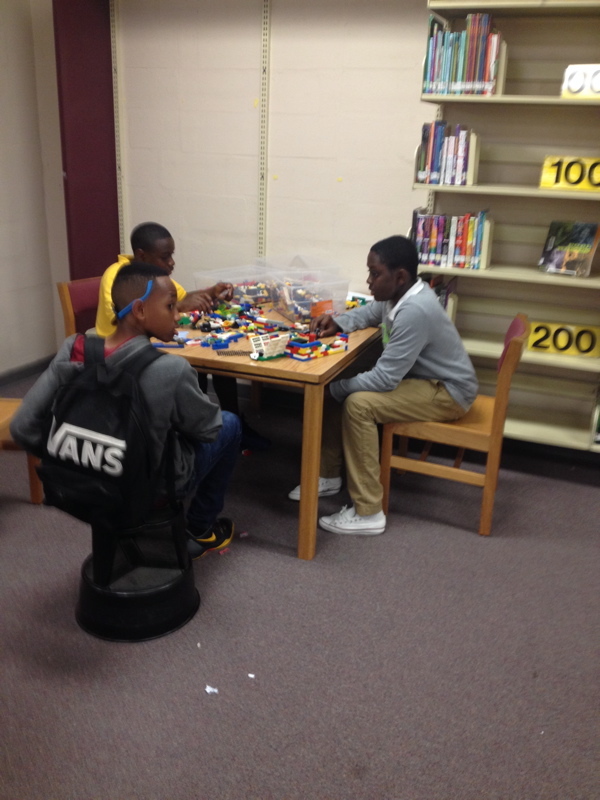 Bringing making into the library has been warmly received by students, teachers and parents. Rearranging our space next year (thanks to our grant!) will make it possible for even more tinkering to happen. Some of my goals for next year include: starting a Maker club, creating Maker lunch days where students can tinker during lunch, and expanding on clubs we started out this year (K’nex club and Coding club). I also plan to teach procedures for these areas during library orientation next year. It will take some time to figure everything out, but I’m loving the journey, and I’m happy to share it with you. 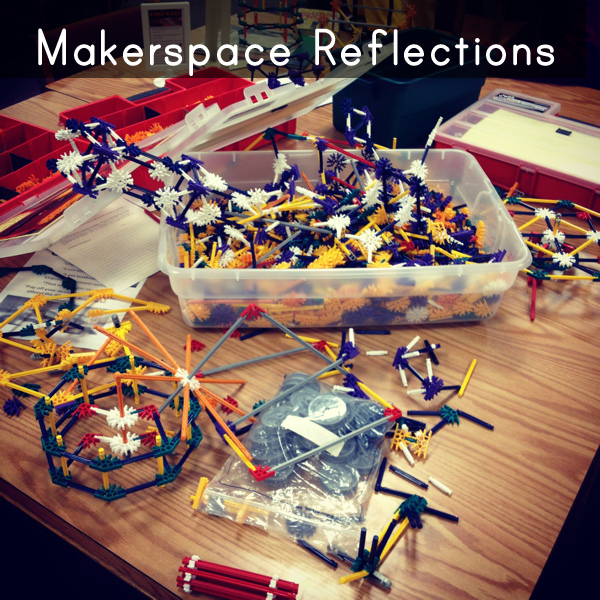 Have you tried out Makerspaces or making activities in your library/classroom? What has/hasn’t worked for you? Hi Diana, thanks for your reflections. We are going to be jumping into creating a makerspace here at our school and I have been wondering how it is logistically going to work. I like your distinction between open and closed activities. In my mind that is really the only way it can work successfully, while giving all students the opportunity to participate. I will be following a very similar style as you with some activities that are open to all and even then I might limit those activities to certain classes on certain days if they become too popular. But I also want students to be able to go deeper so I will be trying an after school maker program and hopefully offering about three different options of activities to sign up for – a mix of low and high tech activities. We have also had to look at space and I have cleaned out a portion of our work room. Thanks again for your reflections. They have given me a lot to think about and also some encouragement that I am on the right track.